Are you like us and often find yourself torn between attending an air show and a car show when the flyboys come to town? 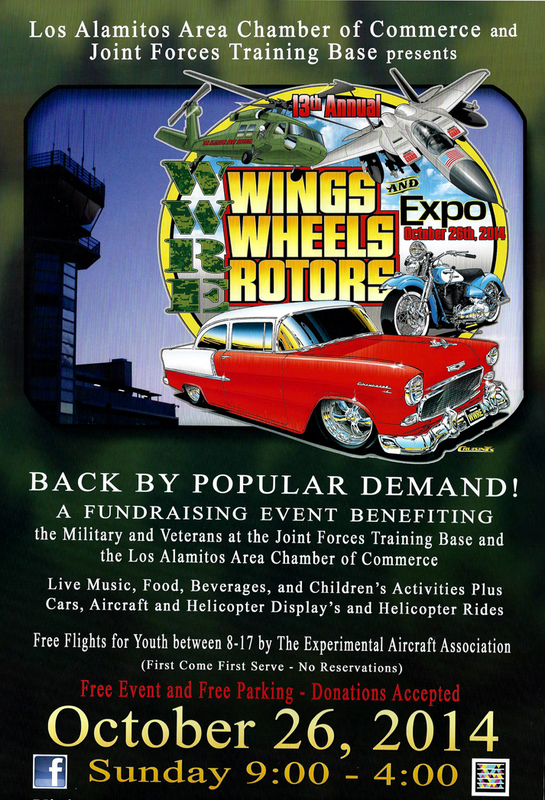 The Thirteenth Annual Wings, Wheels, Rotors & Expo 2014 has the cure for what ails you. If you like horsepower in the air as much as you do on oand, then you can get your fix of planes, helicopters AND cars all be in one location Sunday, October 26th from 9am to 4pm in Los Alamitos, CA. This open house takes place on an actual military base, Los Alamitos Army Arifield, where civilian and military aircraft will be displayed, but the largest display will be of the automotive variety. Since the event does take place on a working military base, a valid ID is required to enter the Expo. Oh, and did we mention that not only can you check out some cool aircraft, but you can actually purchase tickets to get airborn in one? You can order tickets in advance for either a helicopter ride or a seat on board “D-Day Doll,” a C-53D, the paratrooper version of the iconic Douglas Gooney Bird. Book your flight today! A full list of upcoming car shows and cruises can be found on the events page. 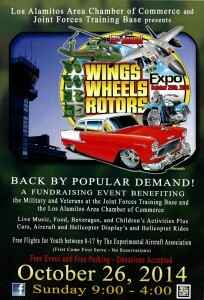 This entry was posted in Car Shows and tagged airplanes, car show, helicopters, Los Alamitos, wings wheels rotors & expo. Bookmark the permalink.